A few weeks ago my husband and I decided to replace our kitchen sink and faucet. This sink was ten years old, it was chipped and scratched, the faucet was wobbly (tightening did not help). Plus a little updating was due. 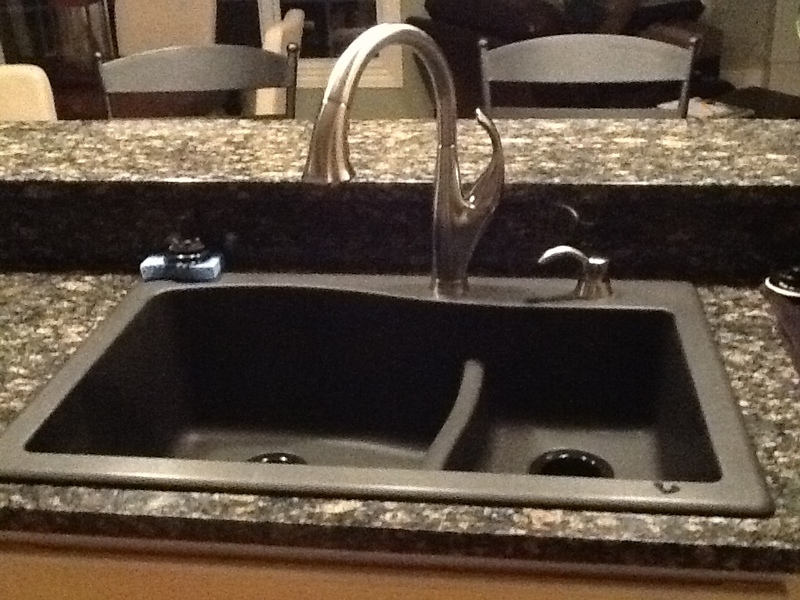 After talking with the salesman at the store, we purchased a black composite granite sink and a new faucet. Now we need someone to install our new items. Unfortunately the plumber is busy and we will need to wait three weeks. We are patient, so we wait. This conversation occurred on a Tuesday. There is no running water in the kitchen for at least three days? Hmmm, how will this work? I guess we will have to eat out for the next few days. If I hadn’t been driving, I’d have done a happy dance. Yes, it was a bit inconvenient not to have running water in the kitchen available 24/7, but a few steps away there was a bathroom. I could still make coffee in the morning, I just stepped outside to pour the final drops in the yard. The new sink and faucet installed! The Book Whisperer, Donalyn Miller, looks for hidden moments in the day where her students have the opportunity to read. Not a minute is wasted. If there is a minute, students are reading. That has been my model for finding moments to read and comment on slices. I get up, get my coffee brewing and post my slice. Then I can read one or two before the coffee if ready. Cup in hand, I read and comment on a few more before I head to the shower. Now I am dressed and ready to start the day, this week I am at home working. I head to my room, but before I can begin, I must check TWT. I refresh the browser to see how many more have posted. Quick, read, comment, read, comment, repeat. I am like a hamster on the wheel, it is spinning and I can’t get off. I want to read more. STOP! I must prepare for the next few weeks. The little voice inside says, “Just check out one more.” So I do. Minimize the website, get to work! 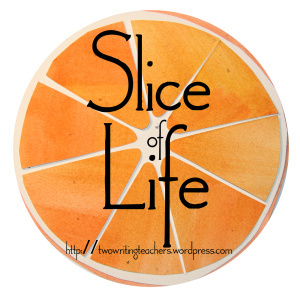 I work, but my mind is on the slices I read and did anyone comment on mine? A quick check reveals I do have comments. The comments make me smile. I need to comment back. Okay, I am back working. Lunch time, I go out to heat up a Lean Cuisine. Look at that! It takes 9 minutes at 50% power, then let it sit for 2 minutes. Yes! I can read a few more while I wait. My husband has said I am possessed. I remember this feeling from last year, but this year there are so many more! I do my best but I’m sorry if I didn’t get to you. I know how the comments fuel the soul to continue writing. The rest of the month I will be working in schools three to four days a week and traveling many miles. My commenting will have to be evenings or stolen moments. I wish I could get Siri to read the blogs and take dictation while I drive, but she’s not that smart.